Setting up an LLC is a common first step for many small businesses. But are you personally still vulnerable to lawsuits? Small business owners find an overwhelming benefit from creating an LLC in Florida: limiting liability for themselves as individuals against outside entities such as clients and customers, as well as vendors and even employees. But does setting up an LLC, a fairly simple process in the state, automatically mean you’re safe from lawsuits? Unfortunately, not entirely. Small mistakes when setting up and running your business can essentially jeopardize the added legal protection from the LLC when it matters the most. Below is a brief overview of LLC benefits and mistakes to avoid while running your business. Why create an LLC in the first place? The main purpose of an LLC is to protect yourself as an individual so that you are not liable for litigation brought against your business. Creating an LLC, in effect, separates you from your business. For example, if you did not go the LLC route, your personal assets and your business assets may be tied together. The LLC comes between you and the business as an added protection. This safeguards your personal assets from business claims and debts. That said, there are key differences between a multi-member LLC (MMLLC) and a single-member LLC (SMLLC) in Florida. In the case of a multi-member LLC, creditors can obtain a charging order from the court that prioritizes paying the creditor before distributing income or profit to the LLC members – but since the creditor does not have a say in the management of the LLC, there is no way to force the LLC to make these payments. In contrast, Florida offers less protection from creditors if you’re a single-member LLC. In this case, a creditor must also obtain a charging order; but if you do not pay in a timely manner, the creditor can then petition the court to force a foreclosure sale of the business and obtain control of your entire interest in it to settle the debt. This is why forming an LLC with at least two members is a common strategy in Florida. As part of the multi-member protection, interests in LLCs are protected from individual members’ creditor claims. Managers are also protected from personal liability for claims related to their management authority. Corporate tax for LLCs was eliminated in the 1990s due to changes to Florida’s corporate income tax laws. LLCs, like S corporations, pass their income through to shareholders and thus do not pay tax themselves. Here are some common missteps people make by assuming that once they form their LLC, they’re covered from anything going wrong. All of these points should be factored into your overall asset protection plan and strategy. General liability insurance protects your company’s everyday operations and incidents such as property damage and physical injury. In the rare case that a lawsuit is brought against an individual member, a general liability policy, with enough coverage, can help pay damages and protect personal assets. If a lawsuit is brought against your business, you’ll probably be asked to provide your records. If you fail to keep them up-to-date, you could be in trouble. Make sure you’re actively keeping records about your LLC, including its certificate of formation, operating agreement, and any annual or biennial reports required by law, along with your state and local tax returns for the last three years. Florida law requires that these records be stored at your principal place of business, along with a list of all LLC members, their addresses, and member contributions. It can be convenient to use personal finances to pay for certain business expenses, or to use business assets or equipment for personal needs. Once you create an LLC, it’s necessary to separate these two parts of your life. Failure to keep them apart can look like your LLC is an illegitimate business. You could then be held personally liable in a lawsuit. Always keep financial records completely separate for personal and business needs. Create a business bank account and even set up credit cards that are solely under the business name. This makes the separation clear for everyone involved. The company’s money will be used to repay creditors, not your personal assets. This is why it’s important to set clear boundaries between your personal and company assets and think carefully about how you raise, maintain, and spend capital. It’s a delicate balancing act; if you transfer money out of the company, this could also look like a fraudulent transaction. The most important thing is to stay on top of your company’s finances by regular financial reviews and proper cash flow management. If you have an LLC or are considering creating one for added protection, it’s important to take every step necessary to fully protect yourself from lawsuits or other financial pitfalls. To learn more about your protection options as an LLC in Florida, get in touch with our experienced team at Padula Bennardo Levine, LLP. 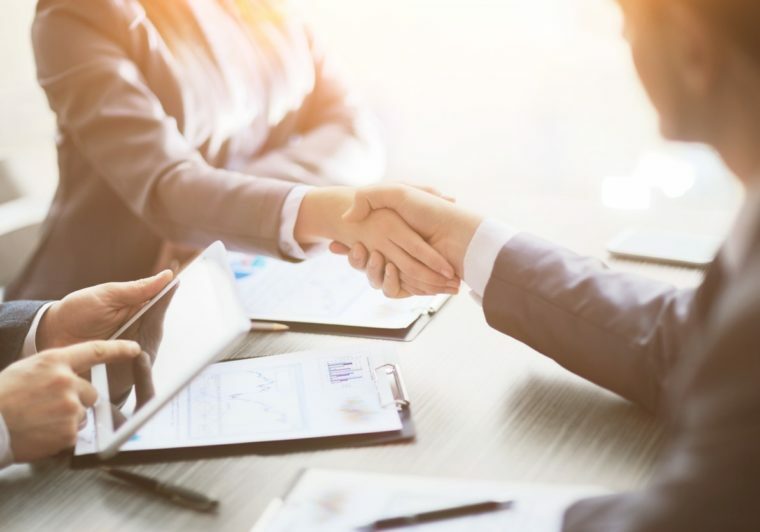 We provide numerous resources for businesses, including services in business litigation, transactions, franchise litigation, and labor and employment law, among others.